Ring up your credit card company at the end of this month. Tell them that you and your spouse can’t seem to reach an agreement about how to allocate your monthly budget. 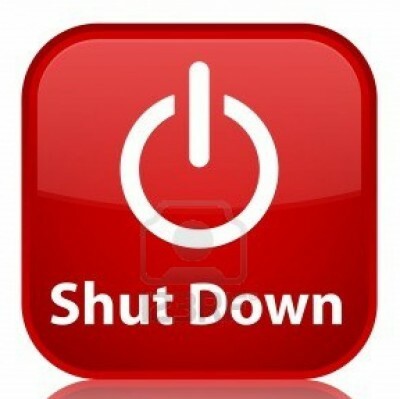 So in the meantime, you have been forced to shutdown your household… but you hope to be back on track in a few weeks. Chances are, they won’t take you seriously. Yet for some reason, this has been dismissed as commonplace and benign in the Land of the Free. The hubris and arrogance here is amazing. And it just goes to show that if you just repeat something over and over again, people will believe it… no matter how absurd. This is the basic premise behind propaganda. Start with an idea. Inundate the population through constant repetition. And soon it becomes the unquestionable truth. To suggest that the United States is NOT the richest country in the world, or that the government could default, is tantamount to blasphemy. It doesn’t matter that every objective scrap of evidence points to the inevitable conclusion that the US government is going to have to default on its obligations. Or they could simply default on their obligations to citizens by curtailing Social Security and debasing the currency. Having this sort of public discussion, however, is considered ludicrous and irrational. The propaganda is so effective that people continue to believe in this fairy tale that America is the Land of the Free and the richest country in the world. Yet it’s this fairy tale that is ludicrous and irrational. Looking at the data objectively, having a candid discussion, and getting your own affairs together to withstand the inevitable fallout– this is the most rational thing that anyone can do. PreviousGovernment shutdown: What’s closed, what’s open?